Engagement is one of the most important events in everyone’s life. It marks the change of every man, from the single to married life. Therefore, everything related to engagement need to be prepared carefully. One of those things is engagement rings. Here, I will introduce to you a collection of the engagement rings for men. In the past, people did not care much about engagement rings because they thought that love was more important. Different from the past, nowadays, everything has changed. All the brides and grooms pay more attention to the selection of engagement rings. They want to wear a beautiful ring on their most important day. Due to this change, almost brands try their best to design the best and most unique engagement rings. Men engagement rings engraved are extremely popular and become the most favorite engagement ring style. This type can help couples express their love and send their message to their lovers. 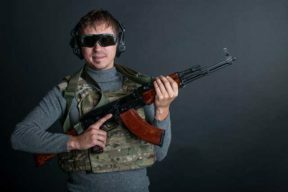 And Pinoly is my first choice in this list. 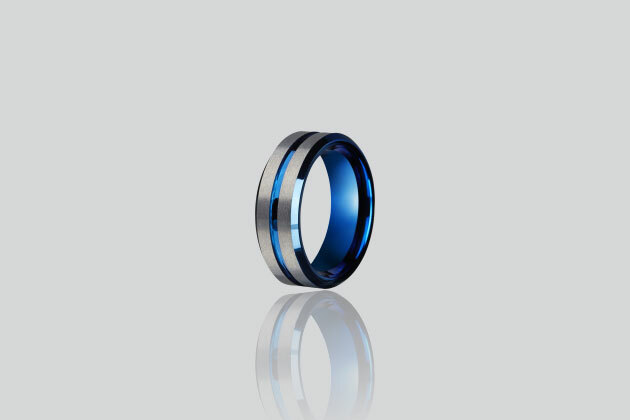 Pinoly tungsten rings has four color choices, including silver brushed 8mm, blue line 8mm, rose gold line 8mm, and silver step 6mm. I highly recommend you this ring style because it is unique. This ring is designed and upgraded to bring an awesome look. I saw the specialty of this ring, which come from the sides. If you look it carefully, you will find that the two sides of this ring are a little bit lower than the middle. With this design, the Pinoly ring is more stereoscopic on your fingers. I chose the silver brushed Pinoly ring because it was graved the word “forever”. I thought that this word is quite meaningful and it can bring the happiness and eternal love. Although the design of this ring is a classic style, its highlighted point is that word. This is perfect for anyone on their special days. In terms of quality, this Pinoly ring will not disappoint you. It is worth to invest with many great features, such as scratch resistant, and durability. Furthermore, this Pinoly product will never be faded as the other metal rings. You can work outdoors or do anything by hands without being worried about scratching your rings. 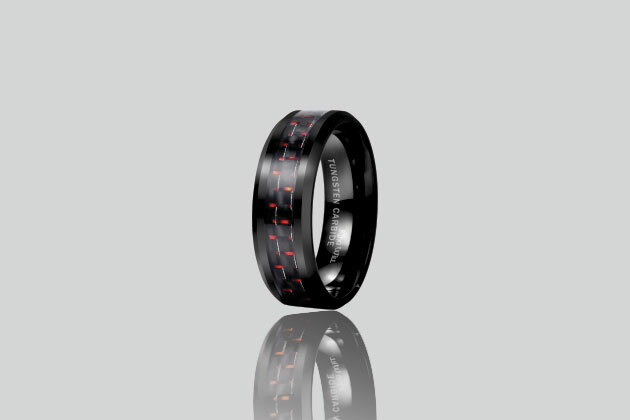 If you are a fan of black color, which symbolizes for the power, strength, elegance, and sophistication, you should not ignore the King will Gentleman 8mm black and red carbon fiber inlay tungsten carbide ring engagement wedding band. This ring is different from any other classic rings with a modern look. It is the perfect combination between the black color and red patterns. The King Will engagement ring will provide you another look about engagement ring trends. When wearing this ring, you will have a stylish feeling. Or even, if you do not intend to buy it to prepare for your engagement, you can buy it to gift your boyfriend. This will be a very meaningful and wonderful present for him. 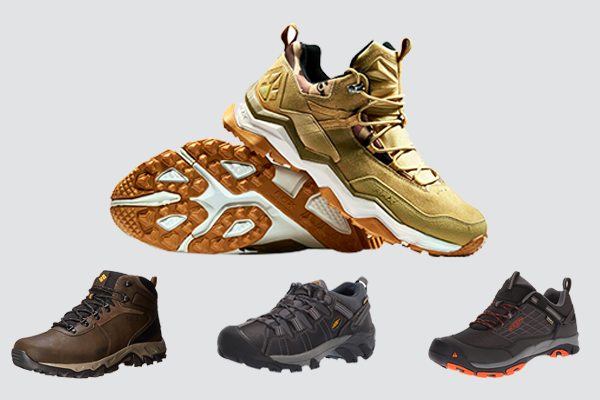 This King Will ring comes with a comfort and fit design to bring you the best comfort and durability. 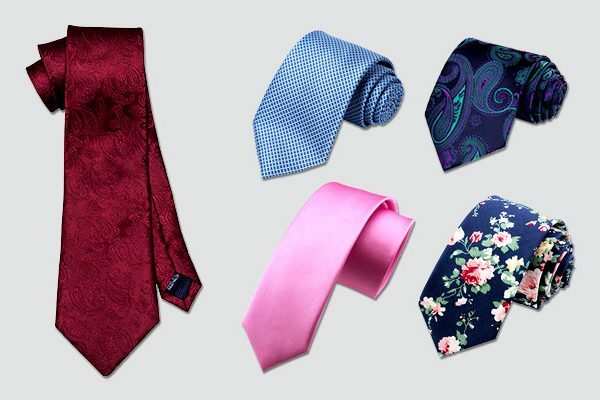 It can be worn for a very long time without any problems. This brand provided the material detail by marking tunsten carbide inside the band. I could not know exactly, but because this ring is quite heavy, so I felt more confident with its material. These red engagement rings for men are not made from luxury materials as gold, diamond or silver, it is unique. I’m really satisfied with my purchase. The next engagement ring that you may be interested in is one from Maui Rings. This ring is great from material to look. It will surprise many people because of its difference. If you are a traditional person, perhaps, you will deny it, but trust me! Let take a look at it and you can change your decision immediately. These gay engagement rings for men convinced me right at the first sight. As I mentioned above, this ring is not made from metal as the others, but heavy-duty silicone. It is quite strange for some people because normally, they often make a choice of gold or silver rings for engagement; however, this is the first time I have seen such a beautiful silicone engagement ring. This is the symbol of the simplify, fresh and love. It will be your commitment to your marriage. In addition, these camo engagement rings for men are not only used for engagement or wedding purposes, but others, such as Father’s Day, birthday, new year’s, or graduation gift. Unlike many people, I like rings that bring me a comfortable and soft feeling. This ring features durable, light, breathable, flexible and waterproof. Your skin will not be got into trouble because its materials are none toxic and safe for skin. To be honest, black color is very attractive because of its mystery and elegance. Therefore, there remain a huge number of black rings on the market. 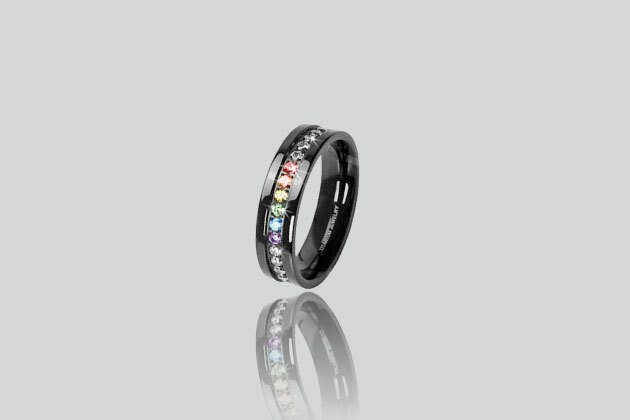 To take the best use of this color combined creative design, brands have given the birth of men engagement rings black. All these rings have a unique design. Most people want to wear a ring because it can make a great contribution to help our hands look better. Not only engagement rings, but also normal rings are chosen carefully. If you make a choice of a ring, which is too big that can’t fit your finger, then you will want to threw it away. Therefore, before choosing any ring, one of the most important factors affected buyers’ option is the size. And, fortunately, this ring comes with a size chart for reference to help their customers have proper decisions. Apart from the available size chart, this ring has released with an incredible design. It is not made from precious metals, but titanium. This kind of material is of course good enough for durability. In addition, I did not see any scratches, although I wore it for a very long time and often worked outside. 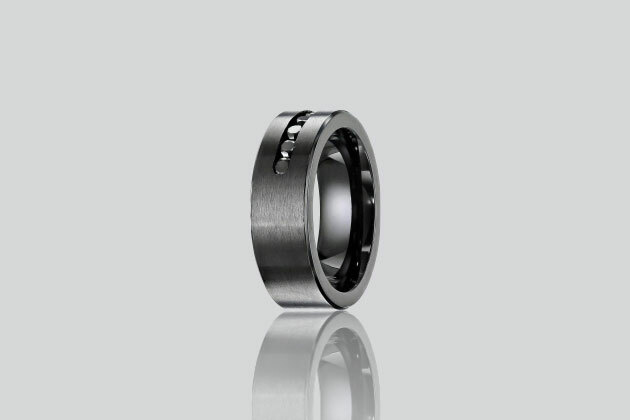 Better than other wedding rings, this is a comfort design with a strong and masculine look. I think that if you want to own an awesome ring or gift it to your important person, this ring can be the best choice. Gold is one of the most precious materials. This type of material can make a great contribution to make the wearers look luxury as well as elegant. It is the reason why the 14k engagement ring for men have become favorite rings on the market. The engagement ring is the symbol of love and happiness combined with the luxurious look of gold, the 14k gold wedding band is should be your first choice. This ring consists of two different colors: yellow – gold and white – gold. In fact, with this engagement band, I find difficult to choose because both of them are very beautiful and eye catching. They can look good on everyone’s fingers. If you do not want to buy it as an engagement ring, you can wear it as couple rings. This is a kind of plain ring, which does not have any pattern or engraving. However, it is still meaningful and perfect for your important day. This ring is available with a size chart consisted of many sizes for small too big to fit both men and women. Besides, its width is 6 mm. With this width, this wedding band is not too big, but enough. The material of this band is 14k real gold. If you like elegance, you should not ignore such a beautiful ring like this. The Queenwish ring is bigger than the gold engagement rings for men, but it looks great and special. The most special thing of this wedding band is its colorful mixture. It is the combination between the brushed matte surface and the blue grooved center. Besides, this ring has a beveled edge line for decorating. This design is extremely unique to make it more outstanding, compared to all other wedding bands. The Queenwish has a high polish inner face, which is very smooth to resist scratches. Therefore, you can wear it every day and every time without worrying about the scratch. When choosing a ring, it is very important to pick up a meaningful ring. In addition to this, the beauty is also vital. 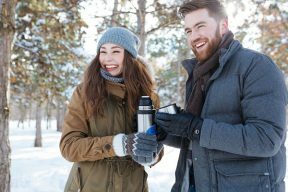 Aside these factors, we can’t ignore the comfort because your ring will become useless, if your ring is too tight or too loose. Luckily, this wedding band has a comfort fit. The Queenwish has a creative design, which is classic. Furthermore, it is durable and weighty. This Queenwish will be a perfect present for special occasions, such as valentine’s day, engagement, anniversary, wedding, Christmas, or even promise. You may hear about the Nanafast ring because of its strange look. 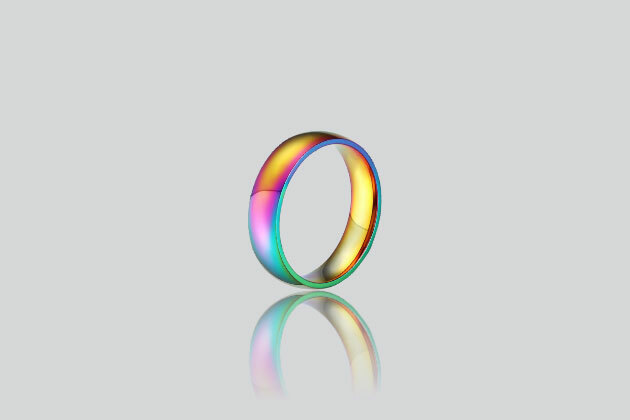 If you are a fan of rainbow, you should add this band to your ring collection. Although this ring is the mixture of many different colors like a rainbow, this band does not look complicated at all. The sizes of this Nanafast ring are ranged from 6 to 13 millimeters. With various sizes like this, I’m sure that you can choose the right size to fit your finger perfectly. Just need to measure before buying to make sure it fit. In terms of material, this ring is made from 316l stainless steel, 18k gold plated and silicone. This ring is high polished to avoid scratches when working. It will never hurt your finger or leave the redness. This ring is very comfortable to wear. Besides, this ring has a very special meaning. It is for LGBT pride lesbian and gay. To be honest, from its look, this ring impressed me much. It is durable for long use. Besides, the Nanafast ring’s color is bright enough, not too dark. Don’t be afraid of turning our finger green because this will never happen. If you want to highlight your style, this Nanafast ring is a great selection. I always give my priority to Nanafast wedding band because I want to show my support. Besides, this ring looks great, which is very colorful. In fact, I bought a silver tone, and then I added another Nanafast ring with gold stone color. If you opt for the silver tone color, your finger will look brighter. In case you choose the gold color, it is more luxurious. 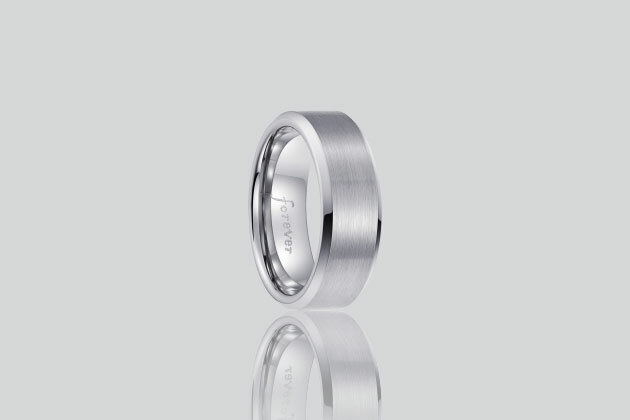 The same as silver tone color, this finger band is also made from titanium stainless steel. 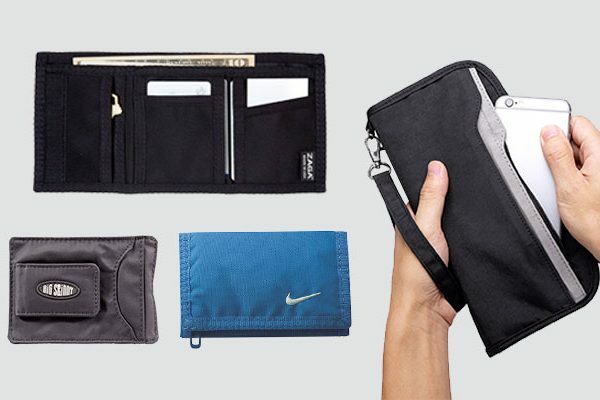 This material is scratch resistant and lightweight. Furthermore, this ring is quite durable, so you can wear it for a very long time without any problem. In addition to the durability, this color is worthy to buy with rainbow color above and gold color around. This option is highly polished with the 18k gold plated. 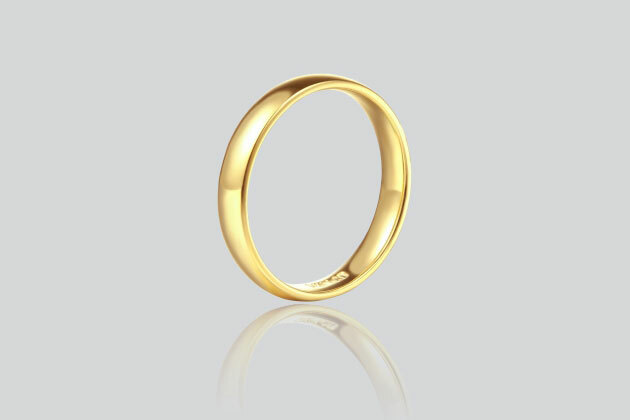 The width of this ring is about 8 millimeters, so you should consider carefully before buying. My finger is quite small, so I think 8 mm is too wide, but it’s ok with such a beautiful ring like this. In terms of the size, it’s similar to the silver tone color ranged from 7 to 12 millimeters. Generally speaking, this ring offers fashionable style, durability and comfort. If you want to support LGBT, here is another wedding band for you, which is called an UM engagement ring. This collection of UM offers wonderful value as well as the affordable price. Different from Nanafast ring, the UM is not having the rainbow color, it is the mixture of many colors. Furthermore, this UM ring is smaller than the Nanafast, which is just about 6 millimeters. This width is perfect for my finger. 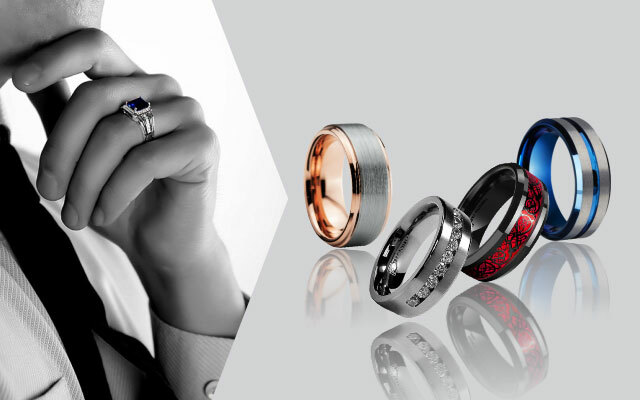 Specially, the UM ring is suitable for both men and women. 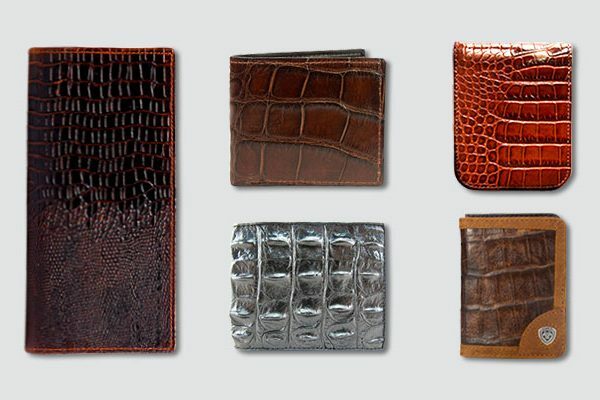 Its materials are stainless steel, silver, leather and stainless steel. 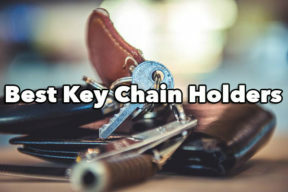 Aside with the ring, you also can find out the other products, such as earrings, bracelets, bangles, necklaces, and pendants. One of the most special features of this ring is that it is not oxidized and enable to resist to the rust. Apart from these features, the UM wedding band can be against corrosion, allergic properties, or tarnishing. This jewelry lasts longer than other rings. However, to make sure that this ring will be good all the time, there are some things you need to avoid. Firstly, you should not wear this ring whenever you do exercise, go swimming or bathe. Besides, it is necessary to avoid both hard objects and friction to prevent your ring from scratches. Put in a box when not wearing and don’t forget to wipe it clean before saving. 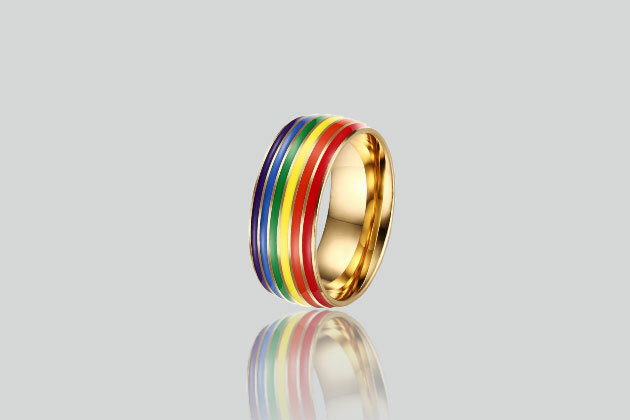 The next ring is also another version of gay & lesbian pride stainless steel ring. However, it is no more a colorful ring, but a twinkle wedding ring. The Jet wedding ring comes with a string, which consists of rainbow and clear cubic zirconia stones. This is ideal for lesbian wedding ring, gay wedding band, promise, or wedding engagement ring. 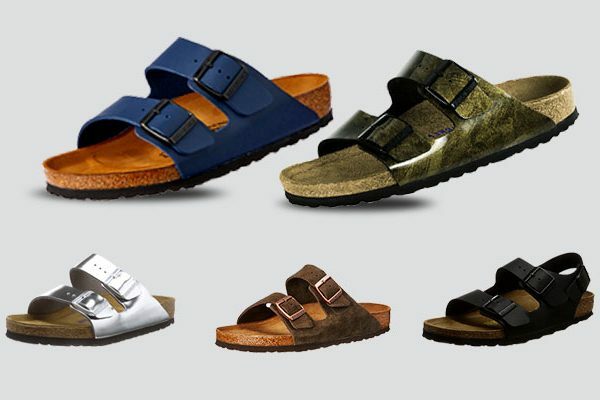 The Jet has a round shape to provide the fashion and comfort for the wearers. In addition to the style, the Jet wedding band has many sizes, which enable to fit both women and men. The width of this band is approximately 8 millimeters. This Jet is made of titanium; therefore, it will have all the best features of this kind of material. It features light weight, durability, and lightweight. Furthermore, when wearing this ring, you can feel free to do whatever you want because it is itself scratch resistance. The Jet ring has only one color, which is black. But I think that this color is enough because the black color contributes to highlight the stones. The Jet ring looks more twinkles at night. I believe that this will be one of the best gifts for your mates. 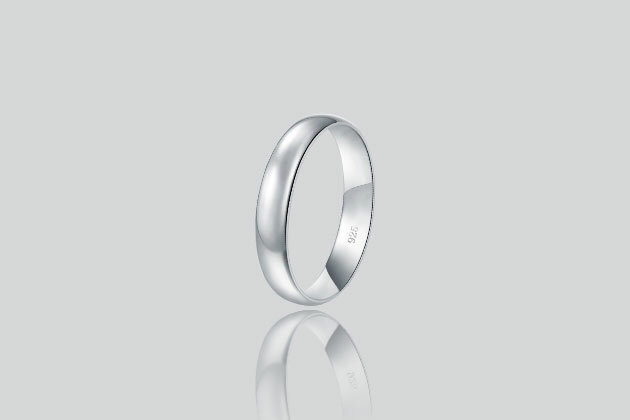 If you are looking for 925 engagement rings for men, I highly recommend you this wedding band. Although this ring has a simple design, it is meaningful and beautiful with the round shape. As its name, this Boruo is made of solid sterling silver. I saw that the number “925” is engraved inside. The Boruo has a white gold color to have a good look. Apart from high quality material, I saw that this ring is extremely durable. I have worn it from years to years, and there was no problem. Besides, its shape is still remaining as it is until now. This showed that the Boruo wedding band is extremely hard. Additionally, it is also tarnish resistant and brings a comfort fit. I like the Borou ring because it comes with a cotton bag that looks nice. This brand gave a size chart, so you can measure your finger before ordering to avoid exchanging or returning. 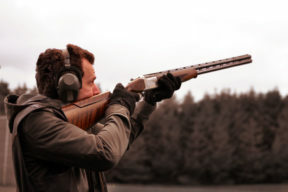 I found that the returning procedure is quite complicated, so it’s better to get the right size. This is an excellent and strength product. I bought this ring to give my girlfriend and she really loved it. I believe that the Boruo ring is a perfect present for birthday, valentines, or Christmas. You can give it to anyone you want as your mother, daughter or girlfriend. In case you like the luxury, do not hesitate to pick up the Jewelrypalace luxury 4.6 CT created sapphire wedding ring. Although on the website, they said that this engagement ring is just for men, I think women also can wear it. This ring is a good choice for everyone on their special days. 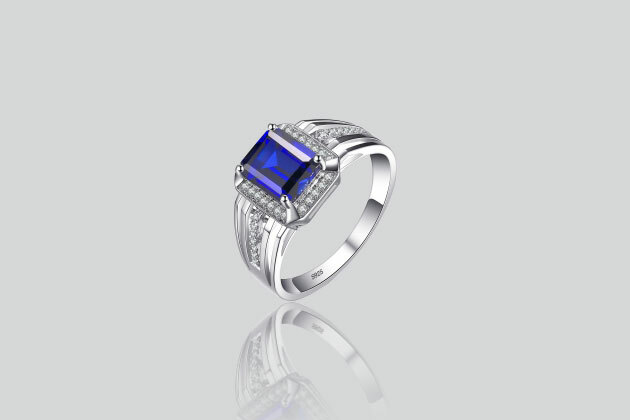 This ring is made of 925 sterling silver and its highlight point is the big sapphire stone above. There are two choices, including blue and alexandrite sapphire. I opted for the created blue sapphire. There is a small logo of s925 engraved inside for marking. Aside with the big sapphire stone, many small twinkle stones are added to decorate. This ring always makes me look more outstanding with the center stone. I’m really excited about it because its price is very affordable and its design is awesome. Furthermore, this ring has a more luxurious look than its given price. Especially, the center stone enables to change its color from blue to purple. 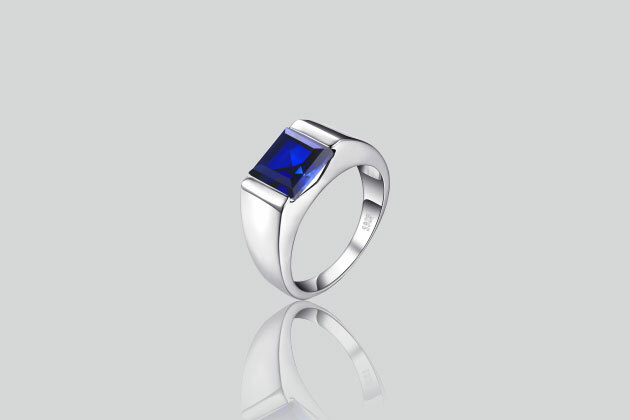 This blue sapphire will bring you the perfect and unique. It is quite easy to mix and match with any outfits. You should not miss out on this. 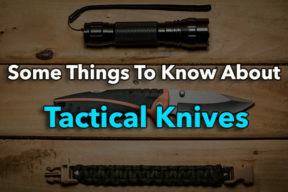 It will be a very essential accessory for big events or every day. Another design from Jewelrypalace is an alexandrite sapphire ring. It is said that the Jewelrypalace brand is one of the leading jewelry brands, recently. This beautiful piece can change your personal style. The Jewelrypalace ring is thick enough and puts an end to your worry about getting oxidized. Besides, you can wear it long without being tarnished. The Jewelrypalace will always bring you the elegance and beauty. This version differs the above ring because it does not contain small stones, but a big sapphire stone. In terms of stone colors, you can make a choice of blue, ruby, alexandrite, or Nano. These colors are trendy, shiny and bright. I think that its material is good despite of long wearing, it does not change its color or get darker. This accessory is a wonderful gift for all occasions. This Jewelrypalace is comfortable without sharp edges. This ring has a good quality; however, you need to be careful to protect it. You should not put it in the direct sunlight or even the higher temperature place. Besides, when swimming, or bathing, do not forget to keep it away. To clean this ring, you just need to use a soft cloth. Here are all the engagement rings for men that I found stylish and meaningful. When choosing any ring, I often pay more attention to its meaning, beauty and comfort. I do not care much about its brand. The engagement rings are not for fashion only, but marking the most important event in my life. Therefore, it is very important to take them into the consideration carefully before purchasing.